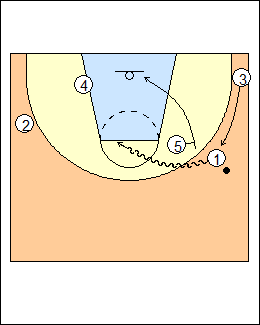 See Tactics - Enfield ballscreen spacing, Fast break - Enfield 5 on 5 (implement ballscreens while playing fast). 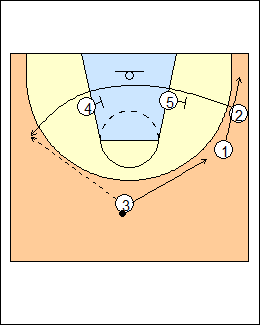 4 is out top, downscreens for 3 who gets a pass at the top of the key, 1 spaces. 5 and 4 screen for 2 above the blocks (4 cleans it up), 3 passes to 2, 3 and 1 space to the wing and corner. 4 cross-screens for 5 (who goes under) then comes high for a pass, 3 downscreens for 1, who comes as high as he has to for a catch. 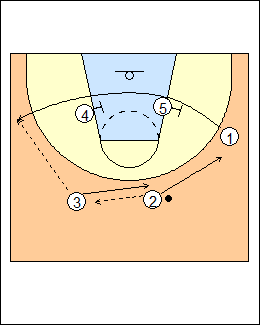 4 passes to 1, slips a ballscreen then spaces, 5 follows right behind. 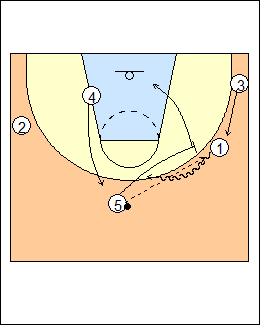 5 picks and rolls, 3 fills behind the ballscreen. 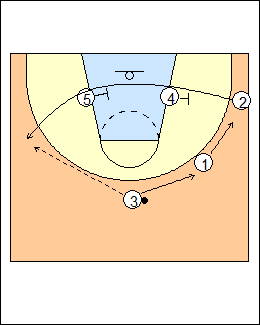 See Offence - Florida pick and roll. The same action, except 5 is out top. 4 and 5 screen for 2. 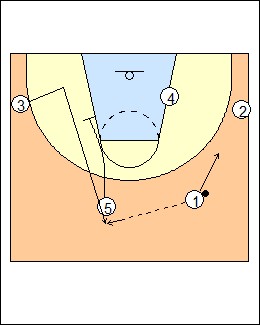 5 cross-screens and comes out for a pass, 3 downscreens for 1. 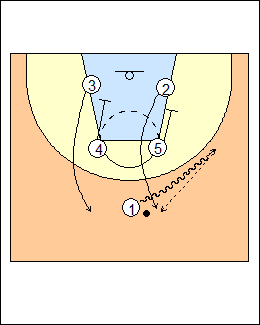 5 passes to 1, follows to pick and roll (instead of slipping), 4 lifts (help on the roll has to come from X3), 3 is the fill man. 1 cuts backdoor if denied, 3 comes up for a pass. 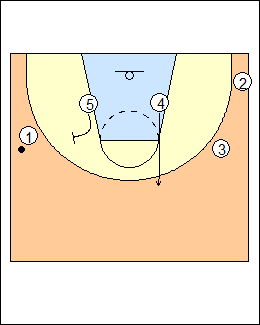 Ballscreen with an open or naked side (corner not filled). 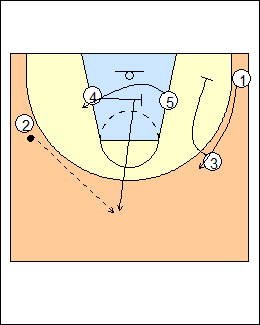 From a box set, 1 picks a side, 5 downscreens for 2, who zippers up for a catch, 4 downscreens for 3. 5 and 4 screen for 1, who goes under (and can fade if X1 goes over), 2 passes to 3 who passes to 1, 2 and 3 space quickly. 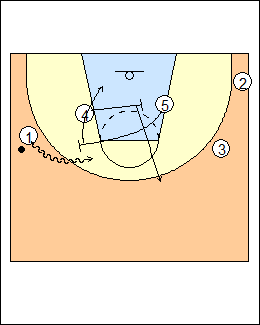 4 cross-screens for 5 then lifts above the weakside elbow, 5 ballscreens about a step off the lane and rolls, X2 is the help on the roll. 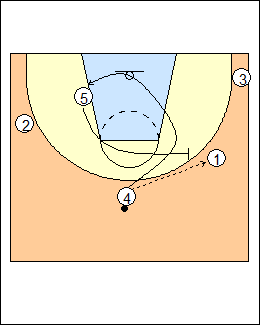 If 5 is ballside, he just ballscreens and 4 lifts.